Last week I did a little nail polish shopping as I discovered that all the colours in my nail polish collection were too summery. I was searching the Internet to find something new, something I have never heard of - and I found something! 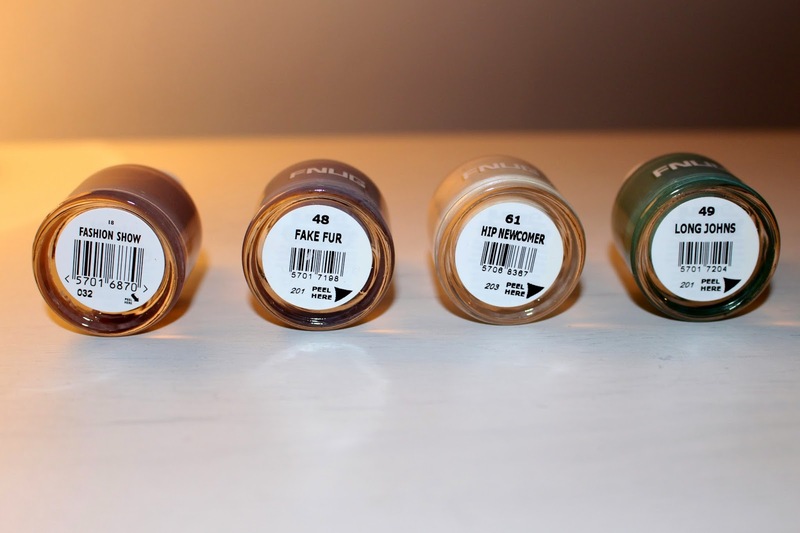 FNUG is a Scandinavian (Denmark) nail polish brand created by Charlotte Fnug. They create nail varnishes to match the Nordic colour palette and all FNUG polish names are related to fashion. Mine are in Fashion Show, Fake Fur, Hip Newcomer and Long Johns. While talking about names - FNUG means both tiny and snow flake in Danish! They have over 100 amazing shades and I am going to sound crazy but I want them all! These nail polishes are filled with strengthening silica and nourishing protein, also containing vitamins A, D, E and B and a little caviar as well. I couldn't resist trying them out and thought I would start with Fashion Show. On first application I noticed the light and quickly drying formula. I applied two layers and it looked perfect so I thought I'd go without a top coat. I fell in love with this colour immediately - the brown coffee latte colour is something I wouldn't normally go for but on my nails it looks beautiful! I am also impressed with its long lasting formula. I have been wearing it 3 days now and there are no chips, breakage or dry nails. I noticed that the colour has a light purple shade, especially in daylight. I think it's time to change colour and try out the next one! These colours look really pretty, great for autumn! Wow, this colour is so elegant! Ah this is why I love blogging. I would have never heard of this brand otherwise, if it wasn't for your blog! I'm going to go on a hunt to see I can buy these anywhere now!